Jojoba oil closely matches the skins own natural oils, which is why it is especially good for settling oily & greasy complexions. It is rich in proteins & is a very good skin conditioner. 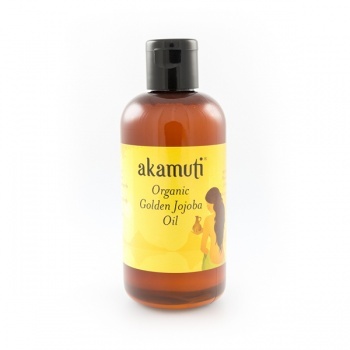 Soothing & protecting this naturally waxy oil is also great for dry, damaged & split hair. PRICE RISE: We've held our price for jojoba oil for as long as possible despite major price increases! However, this oil price keeps on rising leaving us with no choice but to change the price. We recommend using this oil for: Oily, greasy skin to achieve re-balance; moisturising mature skin; conditioning the scalp & hair.